Video Management Solution offers highly reliable, exible and scalable cloud based management for recording and streaming surveillance footage. 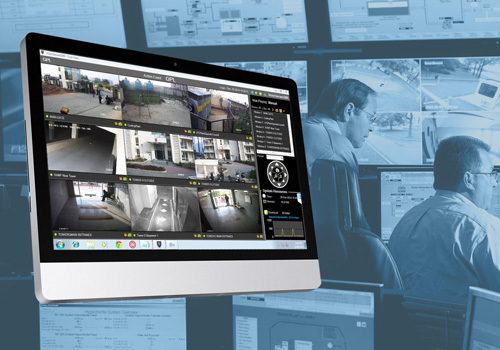 Featuring industry-leading video quality, intelligent event detection, highly-ef?cient streaming and storage, seamless remote access, it is the backbone of unique video surveillance solution. Vizio-Secure 360 software has in-built comprehensive cluster for advanced Video Analytic algorithms. Each Video Analytic module is coupled with incident-event-action framework. Health monitoring Camera imaging parameters control-brightness, colour etc. Camera video parameter control-FPS, resolution, bitrate etc.